Facebook is apparently killing Facebook Home, an app that essentially integrates Facebook into the home screen of Android devices. The New York Times announced on Friday that Facebook has dismantled the Facebook Home team. However, a spokesperson from the social media site has denied those claims, meaning it can not officially be confirmed that the app is truly dead or not. “There is a team working on Home and the experience is still supported and available in the Google Play store,”the spokesperson explained. 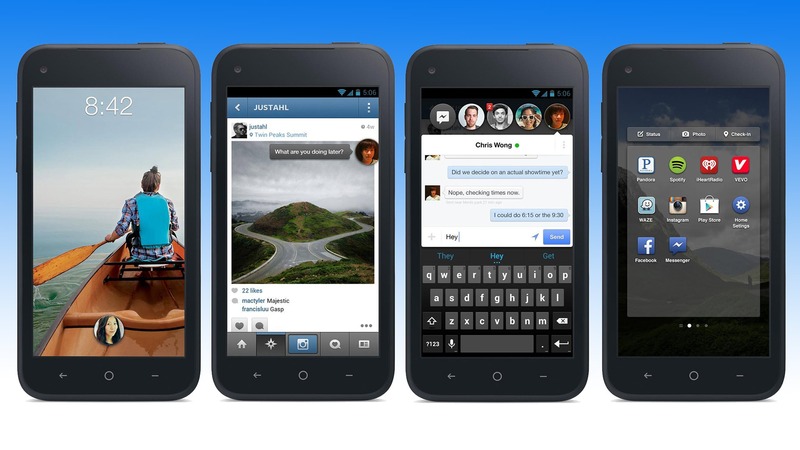 Facebook Home was first launched only a year ago, and is still available for download on Google Play. However, the Android app was last updated way back in January, and it is not likely to be getting updated ever again. Part of the reason for that is because the app was fairly unpopular when it launched. This was mostly due to the fact that Facebook Home only worked with select Samsung and HTC devices. And shortly after it was launched, some of its biggest features, like Chat Heads, floated on over to the mainstream Facebook app, essentially making Facebook Home obsolete. It is believed that the app will continue to stay on Google Play, despite the strong possibility that the team was shut down. Facebook is most likely dead. It’s as old as the dinosaurs in this fast moving digital age. Not sure why anyone would want a Facebook Home app on their android device. Opening even more doors for Facebook to mine users’ personal information and clogging up internet bandwidth with spam mail.